I think that is an excellent plan. There is a lot of locomotive out there with out DCC and it is nice to have a section of the railroad to operate them. I know I have number o locomotive that still need to be converted, and there is a significant amount of time and money to convert them. Can DC locos get into Middletown? As you know, but your readers probably don't, my entire layout can operate on DC or DCC. 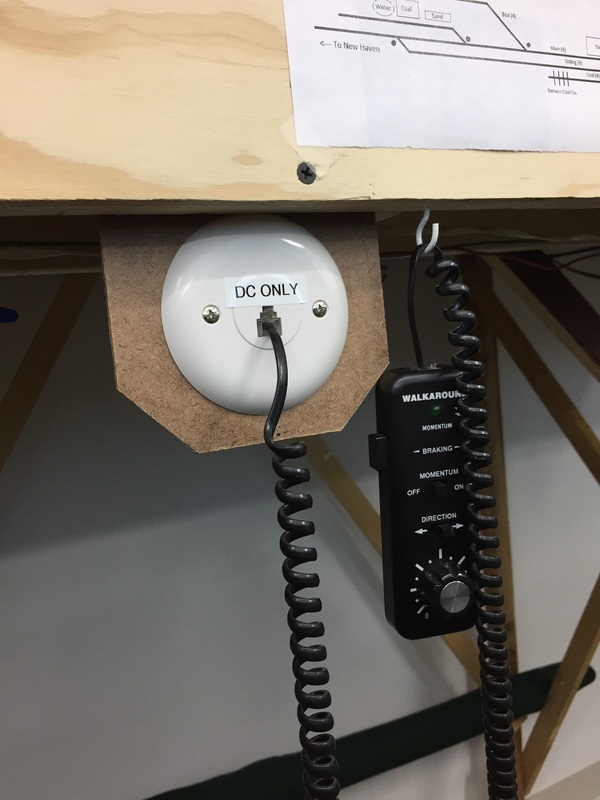 My DC and DCC controllers sit side-by-side with a similar switch that determines which is in use. Mine is a three-way-toggle, so I have a middle position (which I default to) so no power goes to the track when I first turn on the controllers. All I have is a standard MRC Tech II DC Power Pack, no walk-arounds. The main reason I bothered to install it was not only to test the locomotives themselves, but so I could thoroughly test ALL mainline trackage with the brass steam locomotives to make sure they would operate on the layout. So it's more about testing the layout for me, than the locomotives themselves. This was one of the great advantages of using Microengineering flex track. 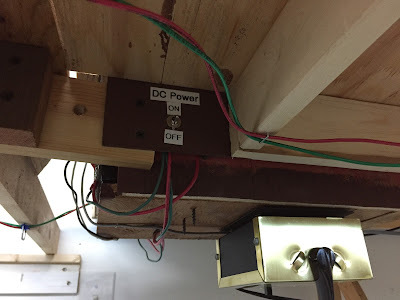 Since it stays put without having to be tacked or glued down, I could lay track, test it will all of the steam locomotives, and when I was confident that it was operating properly, glue it down. You can't do that with Atlas flex track. 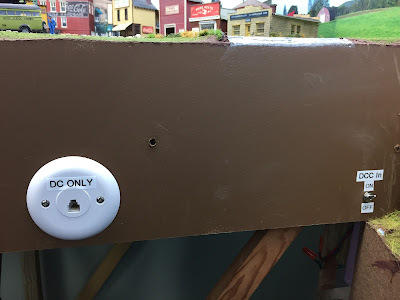 I did the same thing on the prior layout - the entire mainline was in place (on masonite spline) and not permanently attached at all by track nails or glue for months. I didn't get much farther than that, but it allowed me to lay all of the mainline, with no turnouts, for testing. Then I could cut in (I was handlaying in place) the turnouts once I know the layout operated well. At that time it was only DC. Although I knew it would eventually be DCC, I hadn't gotten that far yet.